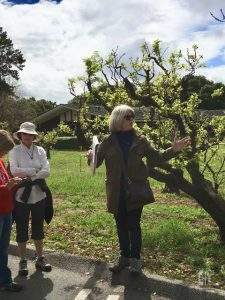 Take a stroll through history as Robin Chapman, author of “California Apricots: The Lost Orchards of Silicon Valley,” leads a guided heritage walk through the Los Altos Civic Center Apricot Orchard, Saturday April 6, at 11am. 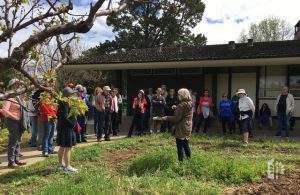 Robin will explore the roots of the valley’s innovation, which blossomed in the early years after the Gold Rush as orchards began to flourish around San Francisco Bay. The walk is free, and open to all ages. Meet at the back door of the Los Altos Library.